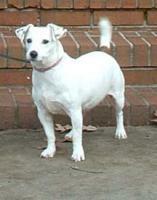 The name of the Jack Russell Terrier was changed to The Parson Russell Terrier in 2003 by the Breed Association. These dogs can make fine family pets, but needs solid training and handling and an agreement with all members (including children) that they will not be mishandled. They usually like to be the only pet, and unless they have fully accepted another dog, they may be dog-aggressive. In spite of these cautions, the Jack Russell is a good pet – just be aware of its likes and dislikes as it is not shy in letting you know. 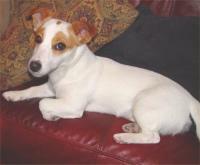 These are spirited terriers how love to play and socialize. The Jack Russell may be OK in apartment living but it needs lots of exercise, and may do better in a rural setting with a fenced yard. It enjoys activity that challenges its role as a hunter, which could include chasing your cat or escaped hamster. Smooth or Wiry Minimal OK for apartment but needs plenty of exercise. Strong hunting instincts. Not for the inexperienced owner.